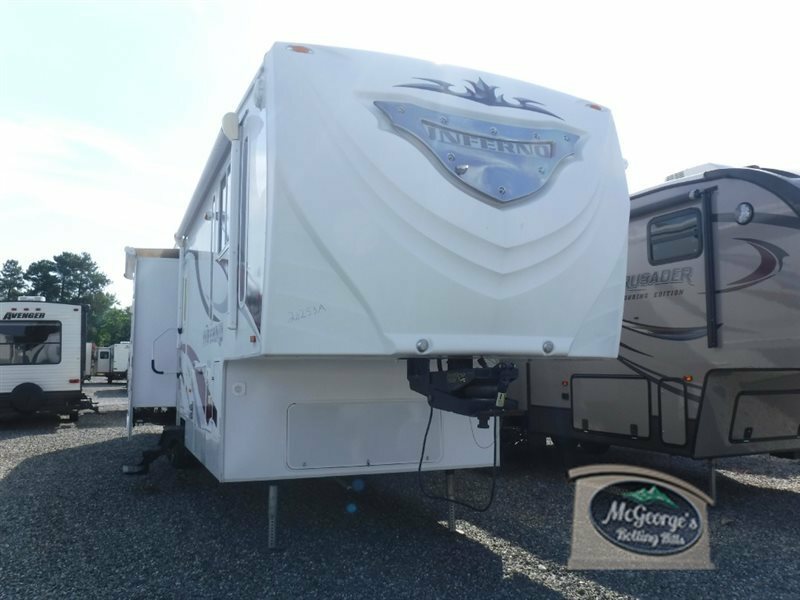 This Toy Hauler is in full working condition and ready to go. It definately does not look its age. The gel coat shines like new and only has one recent blemish from a ladder leaning on it. (see photo) There are no stains or odors (3-8-19) It has been stored indoors, in heated storage every winter, never out in the snow and salt. 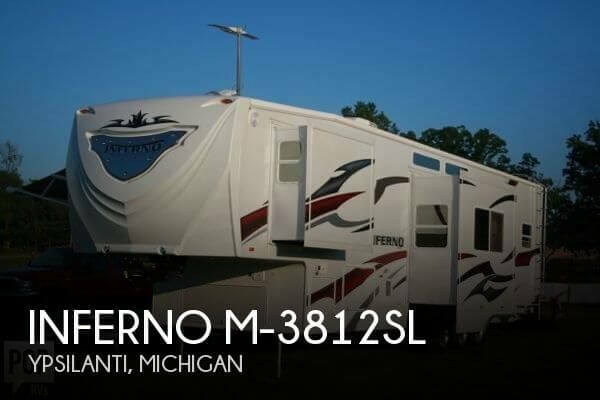 Stock #172931 INFERNO 3812 excellent condition! 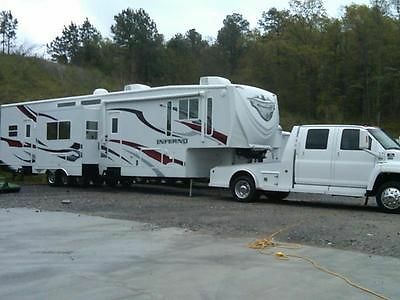 Burn up the roads and off roads with this top of the line Toy Hauler, get it while it lasts. 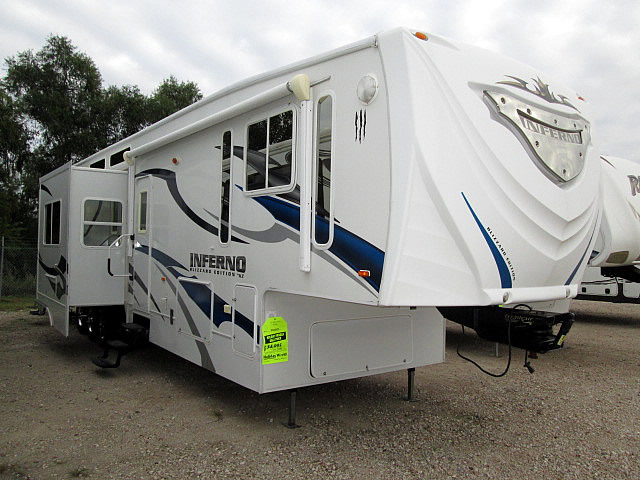 If you are in the market for a toy hauler, look no further than this 2009 Inferno M-3812sl, just reduced to $29,900. 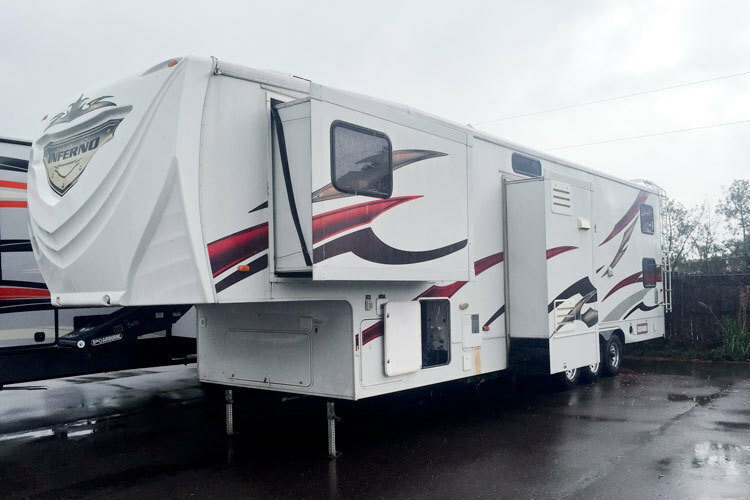 This Toy Hauler is located in Ypsilanti, Michigan and is in great condition. 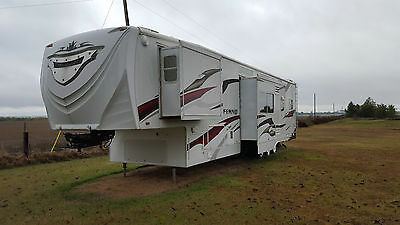 Reason for selling is not using any longer. 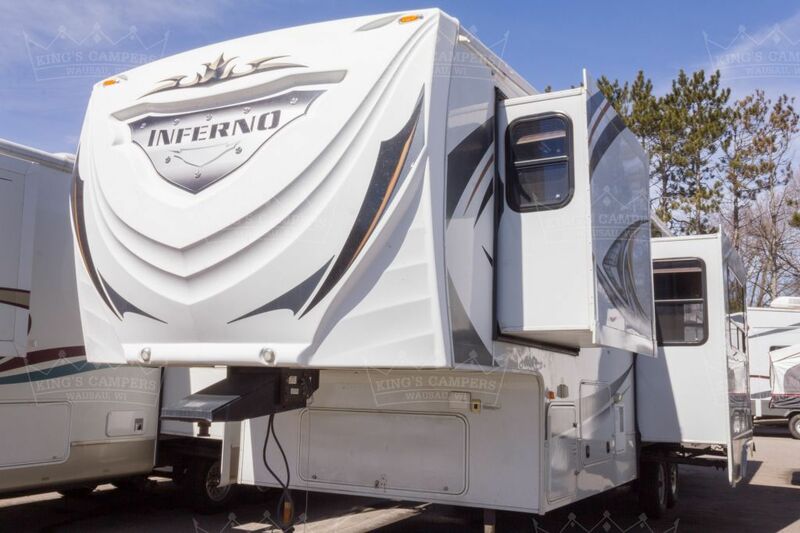 2010 KZ Inferno3610, 2010 KZ Inferno 3610 What a great Toy Hauler with tripple slides, large rear garage with electric lift bed, fully featured kitchen, lofted bed, entertainment center, large front master suite and more. Get it while still available! 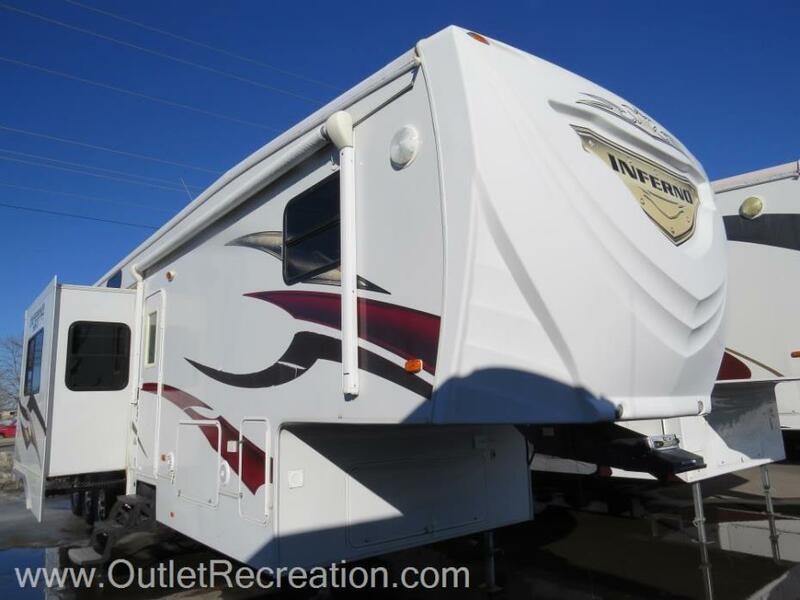 2009 KZ Inferno 4005, Triple Slide Inferno Toy Hauler w/Rear Cargo Area w/Side Entry Door, Overhead Cabinets, Loft Bed w/1/2 Bath, Storage or Washer/Dryer or Keg, Large U-Shaped Dinette Slide, L-Shaped Countertop w//Double Kitchen Sink, Bar Area w/2 Stools, TV, Refrigerator/Pantry & 3 Burner Range Slide Out, Step Up to Bed & Side Aisle Bath w/Linen Cabinet, Tub/Shower, Vanity w/Sink, Dresser, Queen Bed Slide, Closet, TV and More! Price LOWERED again. 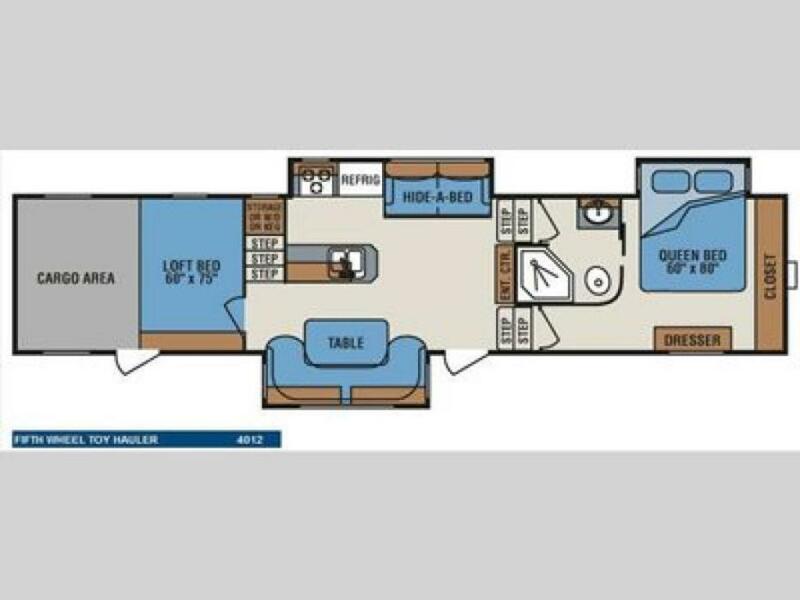 4K below wholesale NADA value.39 Foot Toy Hauler, tire size 16.5R, Onan Generator 5500, 2 13500 BTU A/C, New 12 gal water heater put in Jan 2016, New A/C, porcelain toilet, new shower pan and hand held shower head. 10 Foot Garage.All tires bought in year 2013-2014 good tread.Garage dimensions 116 long and 8' wideLarge loft area above garage. 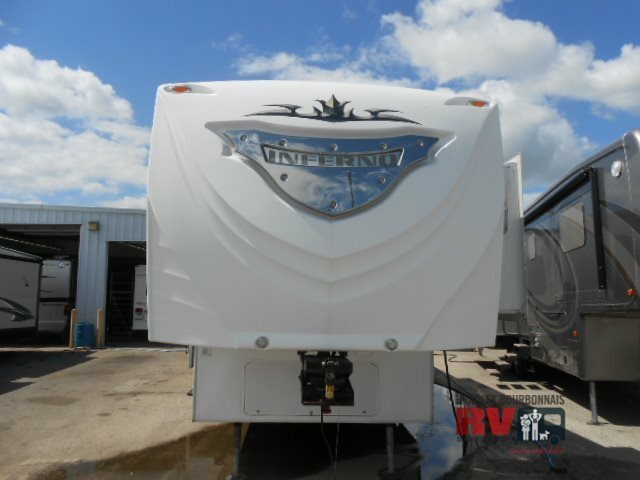 2013 KZ Inferno 3410T, Double Slide Inferno Toy Hauler Fifth Wheel, Rear Ramp Door, Loft Bed, U-Dinette Slide, Double Kitchen Sink, 3-Burner Range, Refrigerator, Ent. 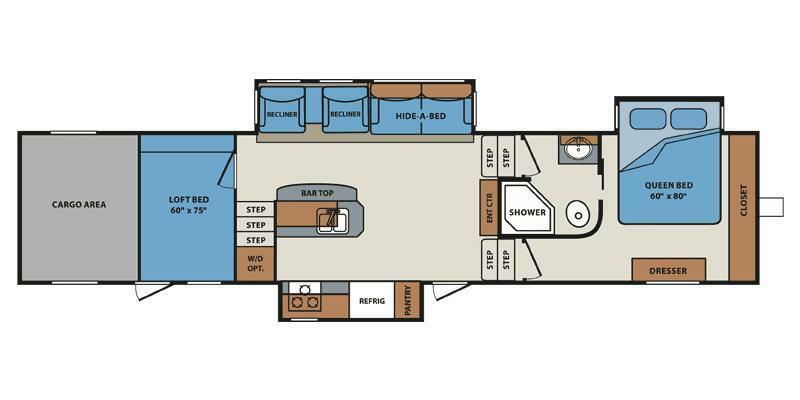 Center, Corner Shower, Lav., Toilet, Queen Bed Slide, Dresser, TV Cab., Closet, Overhead Cabinets Throughout & Much More. 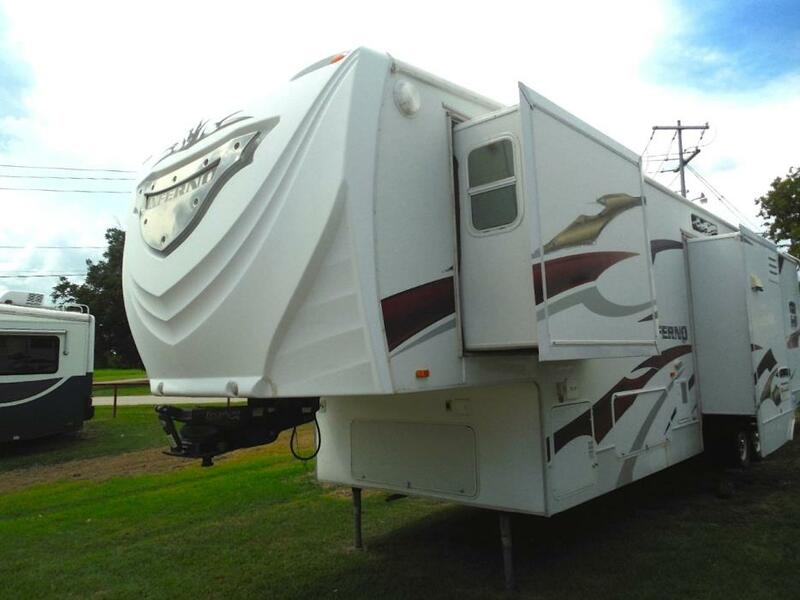 Available Options May Include: Rear Power Bed.